We have formulated our H&E CMHC Immune Booster 7 Formula to help assist you in maintaining, promoting and regulating its defensive system against outside pathogens. The main Chinese Herb in our Immune Booster 7 Formula is Huang Qi [Astragalus Root] with its years of research and its powerful effects on your immune system. We at Heaven & Earth Chinese Medicine Healing Center believe the best defense against the Avian flu virus, Swine Flu virus, or any other for that matter, relies on a healthy and well maintained immune system. One of Chinese Herbal Medicine’s main directives is that your body should always have a high level of Wei Chi [immune] protection to fight an outside invasion of a pathogen. Biomedical medicine promotes vaccines, which contain dead or weakened bacteria, viruses or other materials such as inactive toxins, to stimulate the production of antibodies against a specific pathogen. These vaccines can upset the immune system’s balance and produce side effects-which can sometimes be uncomfortable and, or dangerous. Please note that we are not here to debate or detract from those of you who desire to take the vaccines as a means of immunization. Our only goal is to offer information and an alternative. A. Zimmerman, Marcia, C.N. “Immune Enhancers.” Nutrition Science News, Feb. 1999, vol.4, No 2. B. Zand, Janet, OMD, LAc. “Immunity: Colds & Flu.” Energy Times, Sept 1999. C. Leung AY, Foster S. Encyclopedia of Common Natural Ingredients Used in Food, Drugs, and Cosmetics, 2d ed. New York: John Wiley & Sons, 1996, 50-3. This is a list of the ingredients in the Immune Booster 7 Formula. We have included Ju Hua [Chrysanthemum Flower] to cool and detox your Liver Organ System and Blood along with Da Zao as a digestive regulator. 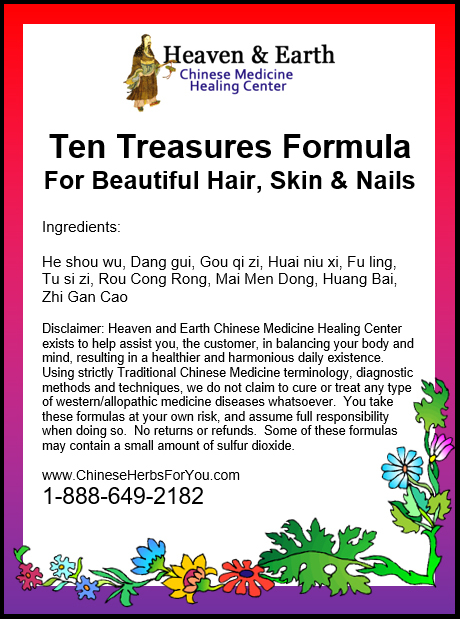 Please read on about the other properties associated with the Chinese Herbs in this formula. We are sure that you will be excited about what they can do for you! Benefits: This Chinese Herb is used mainly to tonify your Qi source and to restore the Yang Energy of your body. Huang Qi is one of the first and most utilized herbs in Chinese Herbal Medicine dating back to around 100 A. D. Its name is translated as Yellow Leader. It is used for such patterns as spontaneous or excess perspiration, low energy, cellular regeneration, edema, slow healing wounds, internal injuries, loose stools [diarrhea due to spleen/lung weakness, wet-phlegm chronic cough, low immune and prolapsed organs. It is also useful in treating night sweating, joint pain, skin ulcers, burns, and anemia. 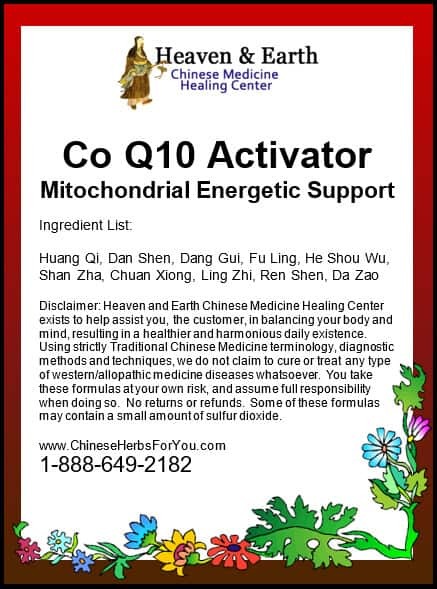 Huang Qi has high anti-oxidant fighting off free-radicals and blood enhancing properties increasing white, red and platelet levels within bone marrow development. Huang Qi has been used in China for such serious diseases such as coronary heart disease, congestive heart failure [CHF], ischemic cerebral vascular disease, bronchial asthma in pediatrics patients, B hepatitis, nephritis, viral coronary disease, cellulitis, diabetes and peptic ulcers. These findings and usages of all the herbs listed are strictly found in China and not claimed by H&E CMHC. Benefits: This Chinese Herb is one of the oldest mushrooms known to be used medicinally, as it has been used in China for over 4,000 years! This is one of the most important herbs for promoting the immune system because of its’ tonifying effect on the Lungs and Wei Qi. Western studies have shown that this herb not only benefits the lungs but asthma and the respiratory system as well. In Chinese Medicine, it is known to tonify the digestion, helping to promote Qi and Blood creation of the Spleen. Benefits: Da Zao is used in many digestive formulas to help to benefit the spleen and stomach Qi, promote inhibition of allergic reactions, nourish the blood and calm the mind. Da Zao has been used in China to treat aplastic anemia, high blood pressure, nervous disorders and tumor growths. Da Zao is commonly used in combination with Qi tonifying herbs such as Dang Shen, Huang Qi, Ren Shen [Ginseng] and Ginger Root. These findings and usages of all the herbs listed are strictly found in China and not claimed by H&E CMHC. Benefits: Bai Zhu is another highly commonly used tonic herb in treating the digestive system affecting the Spleen and benefiting the body’s qi level leading to correct water metabolism, blood propagation, and energy levels. The spleen is the initial organ in promoting a healthy immune system [Wei Qi]. The Spleen’s proper functional nature is warm and dry. Bai Zhu helps to eliminate wetness/dampness within the Spleen. It is widely used for spontaneous sweating, anemia, bloating, diarrhea, over-thinking, and dwelling, undigested food in the stool, edema, fatigue, excess mucus or phlegm, prostate swelling, joint pain due to dampness, low to no appetite and muscle weakness. These findings and usages of all the herbs listed are strictly found in China and not claimed by H&E CMHC. Benefits: Wu Wei Zi [five flavor fruit] is a strong antioxidant with wonderful stress reducing qualities. 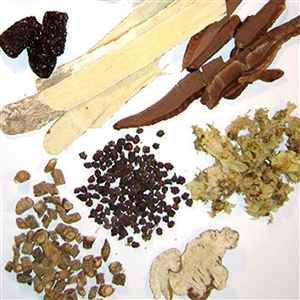 There are many Chinese Herbal Formulas based on this herb for insomnia type patterns. Wu Wei Zi helps to regulate the liver and improves respiratory function [Lung Qi] especially those with a chronic cough. 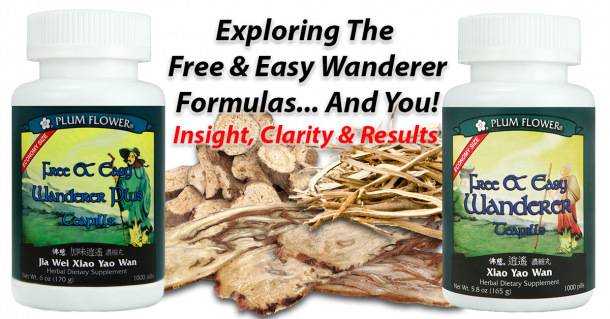 It is has been added to the Immune Booster 7 for its immune modulating function making it useful for conditions involving low immunity, autoimmune disorders, and immune stress disorders. In TCM terms Wu Wei Zi qualities involve Yin astringing energy, promoting Qi, regulating body fluid levels and calming the Heart [allowing the Shen or Spirit to rest for insomnia]. It is also useful for frequent urination, asthma-type patterns, premature and nocturnal sperm loss, night sweats [Yin deficiency], diarrhea, spontaneous sweating, vivid dreaming [nightmares], excess thirst and heart/chest palpitations. Wu Wei Zi has been used in China for such bio-medical patterns such as AIDS, hepatitis, and diabetes. These findings and usages of all the herbs listed are strictly found in China and not claimed by H&E CMHC. Ju Hua is a very common herb [flower] used in China for decades as a way to clear and move heat out of the body especially as seen with red eyes [conjunctivitis type] as related to the opening of the Liver. Ju Hua is also used for common colds that have worsened clearing the wind invasion and heat [infection, fever and sore throat]. Ju Hua Flower alone is a common tea or refreshing drink that is safe to use on a long term basis as a type of detox regimen. It is great for headaches related to Liver Yang rising, again showing as excess heat in the eyes, face, fevers, and breath. Ju Hua is known in China for its antipyretic [blood heat], anti-inflammatory and relieving effects on high blood pressure. These findings and usages of all the herbs listed are strictly found in China and not claimed by H&E CMHC. Benefits: Fang Feng is a main ingredient in our Immune Booster 7 Formula due to its nature of the outward movement, taking the other herbs to the body’s surface reinforcing its protective energy [Wei Qi]. Fang Feng is also used in formulas as a releasing herb to expel dampness and locked or blocked energy in joint pain patterns, chills, headaches and general body pain. It is also used in complex formulas relating to bio-medical diseases such as nervous system irregularities relating to limb trembling and diarrhea [internal wind] and spasms. These immune boosters, along with acupuncture, are keeping me healthy this winter. Love them! I have been suffering with allergies for over 50 years. Recently I visited another country – 29 hrs on planes! Normally I become very sick w/allergies. I took this immune mixture in capsule form I have had NO recurrences of allergies at any time to this day. My sinuses are clear, eyes do not water, skin does not itch. This is a miracle!! My fiancee and I both took this prior to flying over sea’s to Europe. I normally get a cold in the first two days as a result of breathing everyone’s germs on the 9 hour flight to Germany. Neither one of us got sick this time!! !